Last weekend saw Ukraine’s biggest Nazi march of modern times. Yet, the Western media and its numerous correspondents in Kiev completely ignored the story, even on social networks. This is as clear an example of press bias as you will ever encounter. 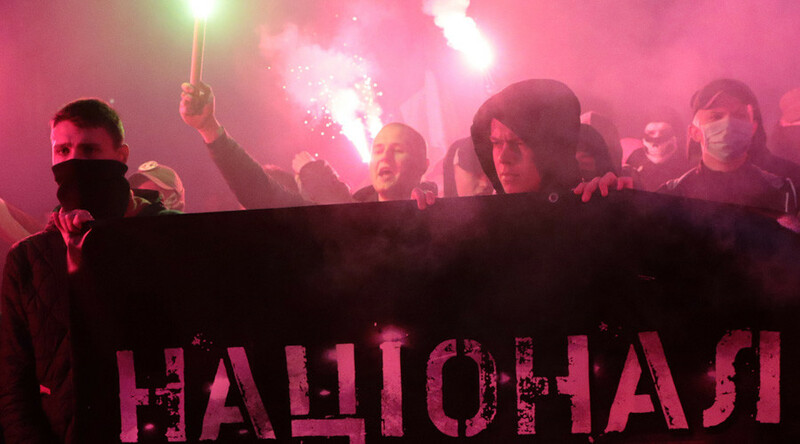 On Saturday night, up to 20,000 far-right radicals honored the 75th anniversary of the Ukrainian Insurgent Army (UPA) – a paramilitary group led by Stepan Bandera, which actively collaborated with Hitler’s Germany. They brandished lit torches, smoke pellets, and flares as they chanted fascist slogans. And some participants openly gave Nazi salutes during the rally. The leaders of the procession included Oleg Tyahnybok, an associate of US Senators John McCain and Chris Murphy, who has called for Ukraine to do more to halt the "criminal activities" of "organized Jewry.” He’s also demanded Ukrainian citizens should have their ethnic origins stamped in their passports. Earlier in the day, Ukraine’s President Petro Poroshenko said the actions of the UPA fighters would always remain an “inspiration” and an example for future generations. This conduct included the slaughter of tens of thousands of Jews and Poles in Volhynia and Eastern Galicia from 1943 to 1944. We all know the mainstream narrative by now. Ukraine can do little wrong, and Russia can hardly do anything right. However, in reality, both countries are remarkably similar, culturally, politically, linguistically and socially. And this is hardly a surprise, given both formed the two most populous parts of a union state for over seventy years and have historical associations going back to the ninth century. However, there are a few fundamental differences these days. Ukraine has, in fits and starts, pursued a pro-Western course since the turn of the century, while Russia has preferred to position itself as an independent Eurasian power. Meanwhile, there is also a huge economic disparity, with Russian per capita GDP around three and a half times higher than the Ukrainian equivalent. There’s another significant issue which divides the two countries. And that’s the official attitude to World War Two. Moscow sees itself as the successor of the victorious Soviet Union and Kiev, searching for a historical narrative of statehood, wants to project Ukraine as a victim of the USSR. This is despite the fact that many Ukrainians - such as Leonid Brezhnev, Konstantin Chernenko, Leon Trotsky and Grigory Zinoviev - played prominent political roles in the former superpower. Today, Kiev airbrushes these figures from its history and instead prefers to celebrate people associated with the anti-Soviet resistance of the World War Two period. The problem is that most of these characters were Nazi collaborators, complicit in various atrocities of the period. There are numerous Western correspondents in Kiev. 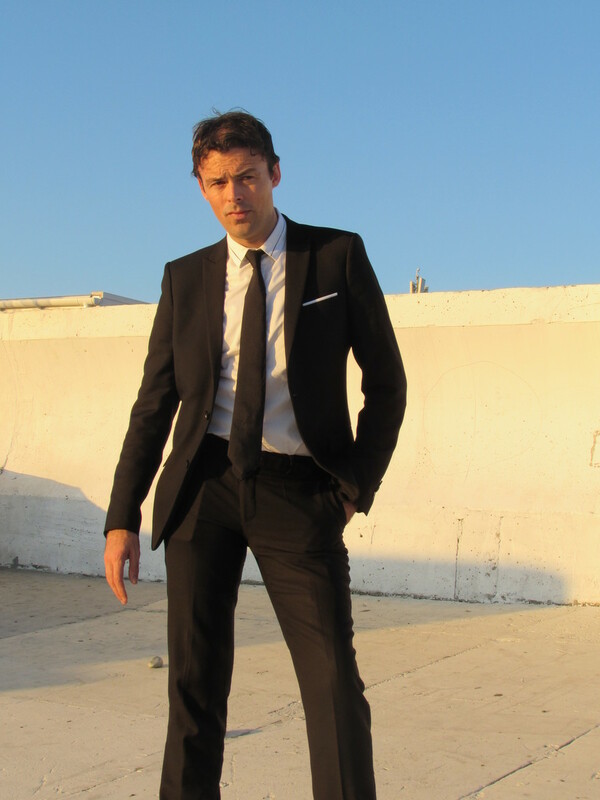 Perhaps the most prominent is Christopher Miller, of RFE/RL, whose presence at Maidan gained him a substantial number of social media followers. On Saturday, Miller made no reference to the Nazi march on his Twitter account, preferring to post pictures from the Carpathian mountains. However, in the past, he has extensively tweeted about much smaller rallies organized by Alexei Navalny in far-away Moscow and St Petersburg. Additionally, Matthew Kupfer, head of Hromadske in Kiev, a TV network funded by the US embassy and the European Commission, also failed to note the rally. But, again, he extensively covered Navalny’s travails in Russia. Meanwhile, in fairness to Ian Bateson, who writes from Ukraine for the New York Times and Guardian, he did at least mention the event, if not its intent, but, again, this contrasts with his enthusiastic tweeting about Russia’s opposition get-togethers. As mentioned early, big media corporations, with a staff and stringer presence all over the former USSR, apparently didn't feel a Nazi parade, of up to 20,000 people, with fascist symbols and Hitler salutes on view, was newsworthy. Furthermore, when statues are erected to Ukrainians who murdered Jews these outlets don’t seem to bat an eyelid. Take the BBC, for instance. The British state broadcaster has a dedicated Ukrainian service and employs dozens of journalists in Kiev, many of whom are also active on social media in the English language. Despite this, the BBC didn’t cover the Kiev Nazi rally. And the call came on the same weekend we learned the British government has hired PR firm M&C Saatchi to run a project with the Foreign Office to “rehabilitate” Ukraine. Now if anyone thinks the two are not linked, I have a bridge to sell them. However, if Navalny so much as breaks wind in Moscow, the BBC is there to report. Indeed, its former Moscow correspondent once ludicrously compared the Russian nationalist to Nelson Mandela. These are the dual standards displayed by Western reporters on the Russia/Ukraine beat, and they make a mockery of supposed adherence to journalistic balance and fair play. Just this month, Moscow protests attended by around 700 people (a great many of them journalists working at the event) were given huge attention by the mainstream media, while Saturday's Kiev Nazi march was entirely ignored by the same outlets. Ukraine has a far-right problem, and it also has a Western media predicament. Because if hacks from NATO countries think they are helping Ukraine, by turning a blind eye to this cancer, they are badly mistaken.